Successfully Added Professional Watercolor Paint Set Colors Solid Paint for Painting Powder Paint Art Supplies to your Shopping Cart. Natural and delicate color, good smudge, compact and easy to carry. Massive watercolor, high stability, good transparency, easy to color bright, not fade, light resistance. The bright and delicate silty pigment developed, water dissolves immediately. 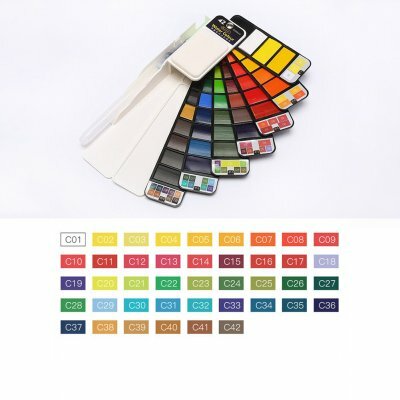 Different kinds of color can meet most needs painting, with a watercolor pen, much practical.